Chaos! Mayhem! Popcorn! Today movie theaters across the country may resemble a scene out of an Irwin Allen disaster movie because Harry Potter and the Half-Blood Prince is set to open and, as with any installment of the series, the crowds stampeding to see it first are tsunami sized. 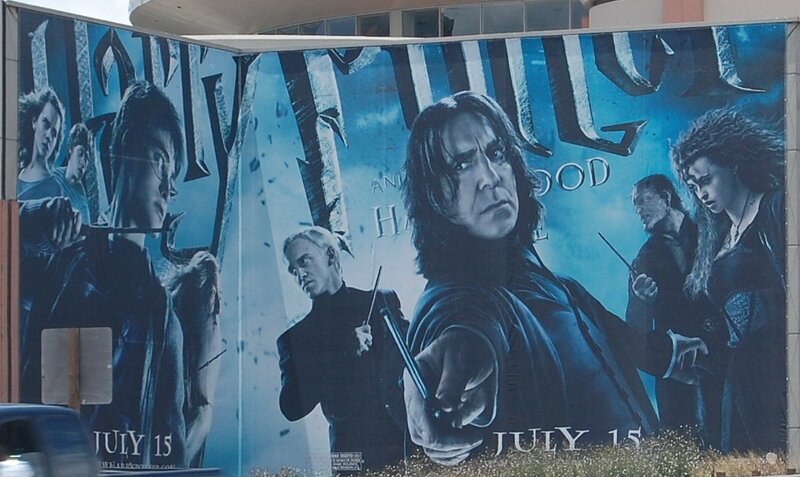 The LA Times reports that Half-Blood Prince has already earned $22.2 million in midnight ticket sales alone. In contrast, last summer’s The Dark Knight made $18.5 million. Screenwriter Steve Kloves and director David Yates, who was also at the helm of 2007’s Order of the Phoenix, seem to have done a fine job with this latest installment as it has all of the major critics foaming at the mouth. Harry is better than ever, a triumph of visual wonder and emotional storytelling. Newcomers shouldn’t worry about playing catchup. Getting lost in the hypnotic Half-Blood Prince is what gives the movie its haunting power. Would it play with an audience made up of folks entirely new to Rowling’s world? Probably not. Did it work for someone who’d seen the previous Potter films, albeit out of order? It certainly did in my case. [Half-Blood Prince] may be especially valued by devoted students of the Potter saga. They may also be the only ones who fully understand them; ordinary viewers may be excused for feeling baffled some of the time. This elegantly balanced production emerges as a model adaptation. The filmmakers have found a way to refresh our eyes and enhance our appreciation for this rich, amazing creation. With Half-Blood Prince, again we have a stalwart, satisfying visualization of the Rowling cosmos. Screenwriter Steve Kloves and director David Yates concoct a potent brew of horror and romance, in which the supercool special effects — notably a swoopy-cam ride with the Death Eaters as they soar over London’s monuments and through its creepiest streets — never obscure a commitment to the book’s central theme. As directed by David Yates, Half-Blood Prince demonstrates the ways that the Potter pictures have become the modern exemplars of establishment moviemaking. We don’t turn to these films for thrilling or original cinema, we look for a level of craft, consistency and, most of all, fidelity to the originals — all of which we get. Posted below is the trailer for Half-Blood Prince, along with the trailer to Yates’ other Potter film Order of the Phoenix. Saw it last night, and really enjoyed it. I didn’t come out with the exhilaration that I left Star Trek with, but I was running through the parking lot, running back and forth and circles around my wife and daughter. It’s also possible that the Bavarian cream pie I had with dinner kicked in. Is This What TV Has Come To? Can Aaron Sorkin Save Sony’s Baseball Epic ‘Moneyball’?